In addition to the abundant cultural options, Oaxaca offers a variety of options to start, continue or end the party. It is very common to go from one bar to another. Around midnight, the famous pedestrian street Macedonio Alcalá becomes a corridor for night owls in search of the perfect environment. Salsa, techno, trios and pop are just some of the more traditional and no less fun atmospheres of the canteens and bars. It is hard to believe that, despite its conservative aspect, the city of Oaxaca has a busy nightlife that goes until morning. In the heart of Oaxaca you will find this place known simply as Los Portales. An excellent place very popular with tourists and locals to enjoy the nightlife together, take mezcal, some beers outdoors with toasted grasshoppers as a snack and then into a nearby dive. It is a very popular bar among locals, it is a mixture of nightclub, bar, rock, mezcal and chelas. The hamburgers on the terrace and jochos are the best. It is located on Calle García Vigil (Ignacio Allende), Oaxaca de Juárez, Oaxaca. One of the best bars in Oaxaca. Try the white mezcal and some nachos. It has live music, hookas and also its atmosphere is very pleasant and totally an unpretentious place where you will feel very comfortable. It is located in Matamoros 206, Centro, Oaxaca de Juárez, Oaxaca. It is one of the best places to taste mezcal and at the same time have fun, you can not leave Oaxaca without going here. It is located in Flores Magón 209. The best in addition to its food and good service is the terrace overlooking the Church of Santo Domingo. It is a good place to go as a couple for a date, to taste a good wine, listen to good music and for its location in Oaxaca. It is located exactly in front of the Church of Santo Domingo. 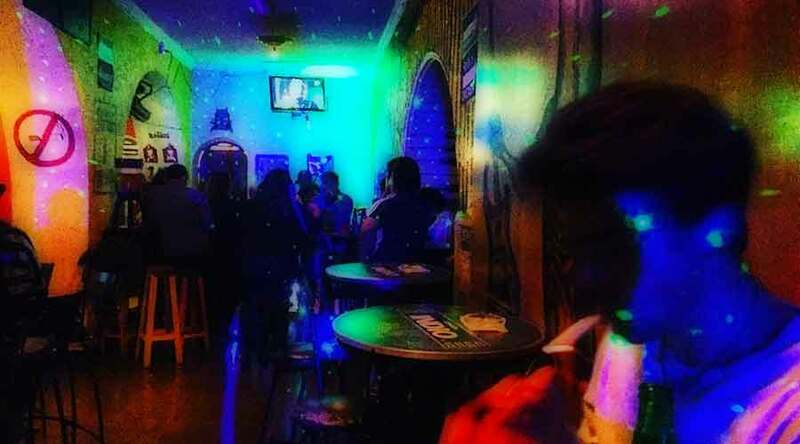 They consider it the best club in the center of Oaxaca, it has a good atmosphere, do not forget to order the canelazos, there is live music and on Thursdays they have promotions in open bar. It is located on the street of Macedonio Alcalá. Are you looking for gay bars and gay Oaxaca nightlife?